We just love having the opportunity to share with you good news about the US housing market and this is one of those weeks! Evidently, according to a recent article we were reading, sales of newly built homes as well as home prices in general saw some great increases during the month of April, further demonstrating that the housing market continues to improve. If you’re considering buying or selling real estate anytime soon, we encourage you to continue reading to learn more about this exciting development. New home sales increased 6.8 percent from March to April, to a seasonally adjusted annual rate of 517,000. The median price of a new home sold in April was $297,300, up 8.3 percent from the year before. Meanwhile, the Standard & Poor’s/Case-Shiller Home Price Index increased 4.1 percent in the 12 months that ended in March. 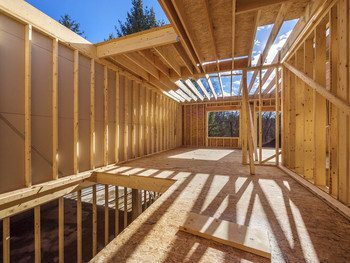 Supplies of existing homes remain tight and home builders are still slow to start construction on new project. So far in 2015, builders have constructed just more than 1 million housing units, which is not too much different from 2014. The construction pace increased some in April and actually hit the best level it’s seen since November 2007. Also so far in 2015, monthly sales of new homes have average 515,000. Meanwhile, new home purchases have been up 26.1 percent over the last year. The housing market in April had 4.8 months of supply of new homes, although this is still short of the six months inventory that experts consider a balanced market. New home sales represent about a tenth of all home purchases. Historically, new home sales peaked in July 2005, when they hit an annual pace of almost 1.4 million. Sales bottomed out in February 2011 at 270,0000 units. Experts attribute steady job growth, historically low interest rates and rising rental costs and key catalysts for the recent improvements on the national housing market. They have also noted that they believe that the US needs construction of at least 1.5 million new homes a year in order to keep up with the growing population as well as the average loss of existing stock each year because of age. We’re Your Dedicated Real Estate Experts! We hope you found the above data as encouraging as we did. The market definitely continues to improve month after month and the memory of the housing market crash continues to fade overtime. This is great news for everyone! Check back here next time for more valuable information on the current state of the housing market and how it may impact your efforts as a buyer or seller.